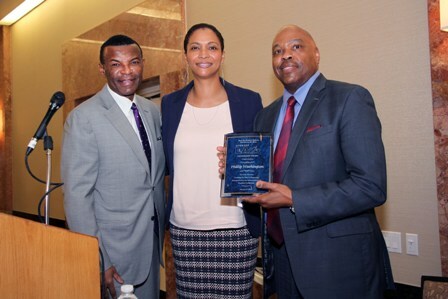 The second annual Meet the Decision Makers African American History Month Business Breakfast was held at the DoubleTree by Hilton Hotel on Tuesday, February 21. 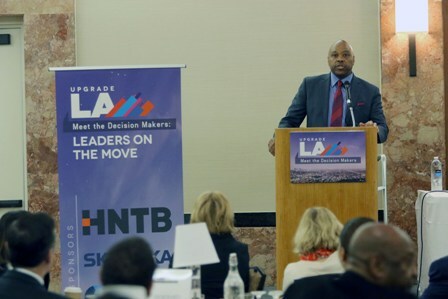 Meet the Decision Makers celebrated two dynamic, high profile public officials – Metro CEO, Phillip Washington and Los Angeles World Airports Executive Director, Deborah Flint. With over 150 small business owners, faith leaders and community leaders in attendance, Meet the Decision Makers honored Los Angeles Metro CEO, Phillip Washington for his leadership and innovation in transportation as well as the recent passing of Measure M. Los Angeles World Airports Executive Director and Meet the Decision Makers 2016 Honoree, Deborah Flint who served as the special guest. KJLH radio personality, Dominique DiPrima served as mistress of ceremony. 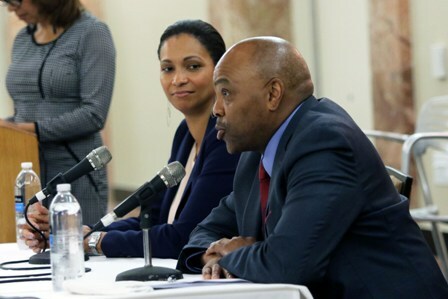 Metro CEO, Phillip Washington discussed the implementation of Measure M and business opportunities available to small and diverse business owners within the first 12 months of the Measure M rollout. Mr. Washington encouraged small and diverse business owners to actively pursue contracting opportunities that will be available soon. Los Angeles World Airports Executive Director, Deborah Flint also discussed small business opportunities for the Automated People Mover (APM) and other projects at LAX. During the Meet the Decision Makers event, the honoree and special guest shared their personal journeys to success. There was also a moderated Q&A segment which gave attendees an opportunity to engage directly with the honoree and special guest to ask questions related to disadvantaged business opportunities and more. The event included remarks by such notable elected officials as Supervisor Mark Ridley Thomas and City Council member Curren Price. Also present were representatives from the LA City Attorney’s Office, Metro Board Member Jackie Dupont-Walker, and City of West Hollywood Council member Lindsey Horvath.